Baltimore SmartCEO celebrated Baltimore’s top advisors at the 2016 Centers of Influence Awards, which took place on Oct. 25, 2016 at The Grand. The Centers of Influence Awards program honors the leadership, innovation, impact and success of the Baltimore region’s most enterprising accountants, attorneys and bankers. This year’s honorees average more than 22 years of experience in their professions and work for firms that employ more than 100,000 individuals. 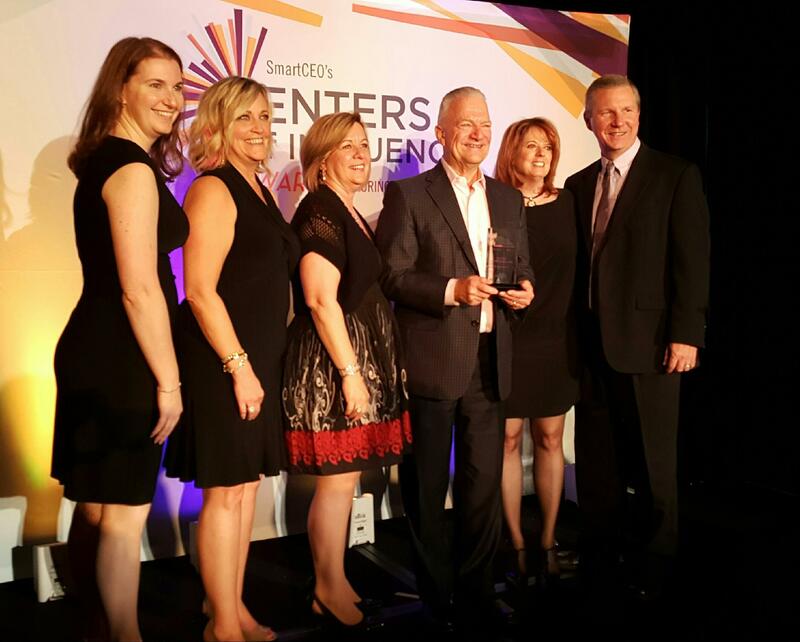 Leonard J. Miller was recognized as a Center of Influence honoree. Additionally, the 2016 Centers of Influence Award honorees were profiled in the September/October issue of Baltimore SmartCEO magazine. Leonard J. Miller is one of the few accountants to be three times selected by SmartCEO magazine as a SMART CPA. He was one of the top 50 CPAs in 2006 and one of the top 40 in 2008 in the Baltimore-Washington area. According to the magazine, "Winners were chosen based on their leadership, their innovation and their impact on the community and profession, their accomplishments and their years of service." Thousands of extraordinary certified public accountants work in the Greater Baltimore-Washington Area, but the SmartCPA award in Baltimore Smart CEO magazine recognizes the "top go-to professionals in the field" The magazine sent an official ballot to CPAs in the region asking them to identify the names of peers they consider to be the best of the best at their craft. Hundreds of ballots were counted and winners were selected based on their expertise, leadership, innovation, accomplishments and relationship development. The winners are highlighted in special SmartCPA report in the July 2006, September 2008 and September 2012 issue of Baltimore Smart CEO and Washington Smart CEO magazine. Len was also recently recognized as a Baltimore 2011 and 2012 five star wealth manager in Baltimore Magazine. John F. Eikenberg Jr. is one of the few accountants to be recognized by SmartCEO magazine as a SMART CPA. John is listed in the September 2012 issue as one of the Greater Baltimore Region's Top Accountants as selected by SmartCEO readers. According to the magazine, "These CPA superstars have the traits necessary for success, for themselves and for those they advise: an ethical foundation, attention to detail and a rational, objective point of view in advising clients. Once our readers find a CPA who clicks for their company, they often stay with them for years - and even decades - to come." Thousands of certified public accountants work in the Greater Baltimore-Washington Area, but the SmartCPA Readers' Choice award in Baltimore Smart CEO magazine recognizes the top go-to professionals in the field. "These advisors with a knack for numbers have made huge impacts, not only on their own industry but in the lives of the region's top business executives, by helping them grow their companies year after year. Myrna Mitnick, CPA, MBA, PFS, of Leonard J. Miller & Associates, Chtd., testified before the House Ways and Means Committee on behalf of the MACPA in support of House Bill 186, “Estate Tax: Recoupling with Federal Law,” sponsored by Del. Susan Krebs. The MACPA has long supported efforts to recouple the estate tax in Maryland. As a generation of CEOs approach retirement age, many are seeking advice on the best way to exit their businesses. SmartCEO gathered Baltimore’s veteran CEOs and exit planning advisers to discuss how to align your exit strategy with your goals, maximize the value of your business and ensure a smooth transition to new leadership. Listen to the podcast, or read more in Baltimore SmartCEO’s April 2013 issue. Roundtable hosted in partnership with HighTower’s Kelly Wealth Management.